Season 2016 – here we come! The rules for season 2016 are finally out and we are more than excited to get our hands dirty! 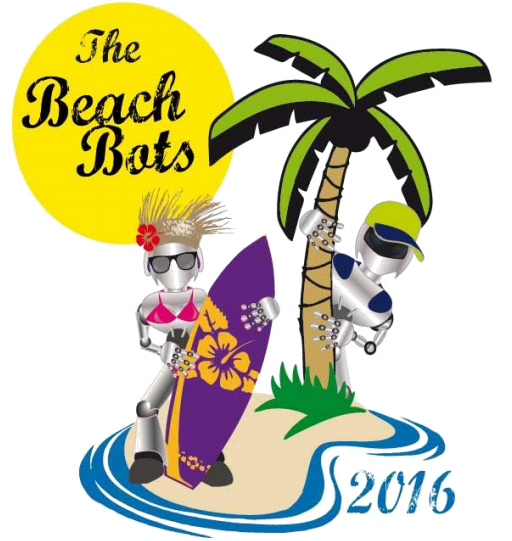 As you can read on the official website the theme this year is called “The Beach Bots”. Our robots will be fishing, making sand castles, raising flags and collecting sea shells! Even though we’re not making completely new robots but have quite a lot we can start from there’s still a lot of work to be done. We’ve expanded our team with a few new members and it’s likely that a few more will join us. 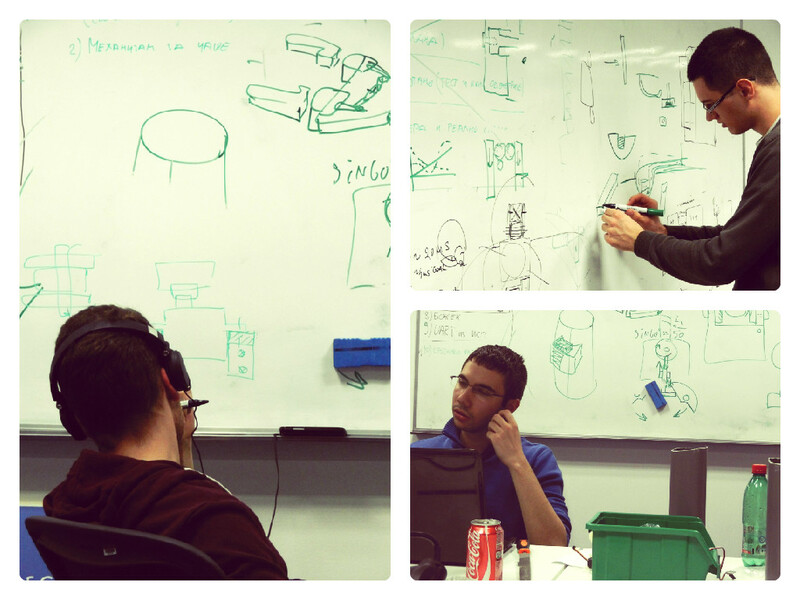 Improved architecture design and thorough planning are at the top of our task list but even so, our mechanical engineers are too fired up to withhold themselves from drawing! They are already working on suspension improvements so we can get to a new, improved and fully functional mobile platform as soon as possible. While we’re solving organizational things like funding, work-space and team organization we are all very excited to dive into the engineering work and work towards getting our robots to a top shape! 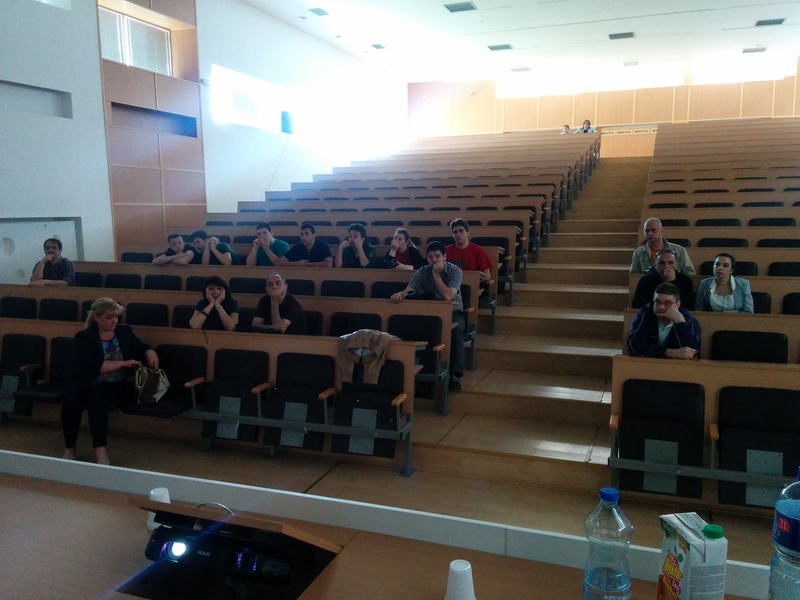 And yesterday, that is, a week after the Science Fair in Kruševac, we visited Ćurpija. Not many know, but over there, there’s a group of folks gathered around a project called Biblioteka++. 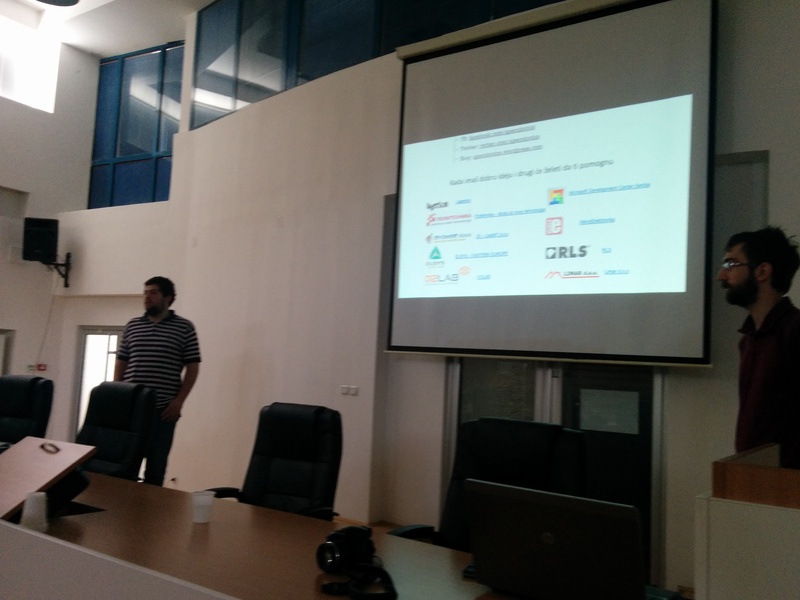 We shared with them what we did this year with the competition, how we organized and tried to motivate them a bit. 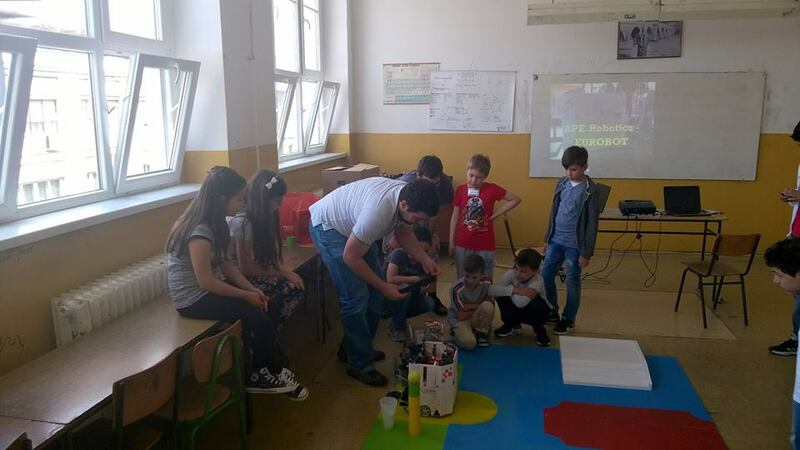 They themselves are programming Lego Mindstorm robots and are making very exciting things. Be sure to check out their website as you’ll find over there very interesting things regarding both robots and programming in general! For those of you who came to the competition you saw what happened, for the rest of you, here’s the outcome. However, during the second through fourth round, something odd happened. At the beginning of the round, the big robot wouldn’t start at all. 😦 We tested everything in-between the rounds and everything worked perfectly for tens of times. We’re still not sure what happened, but we’ll definitely work to find out. All in all, because the robots earn points and not victories, and we got almost zero points during the three rounds, we wound up 7th place out of 13. Once again, thanks everyone for their large support! Dana 25.04.2015. napokon se odigrava dogadjaj oko koga se ceo naš rad okreće – 13. nacionalno Eurobot takmičenje! Zato vas pozivamo da pomenutog dana prošetate do bioskopske sale SPENS-a u Novom Sadu i prisustvujete okršaju robota iz cele Srbije! Again, a large thanks to all of our friends for their great trust and support! 3d-caddit was kind enough to donate us ABS filament for MakerBot. Because of that, we were able to print some components for our robots’ mechanisms. 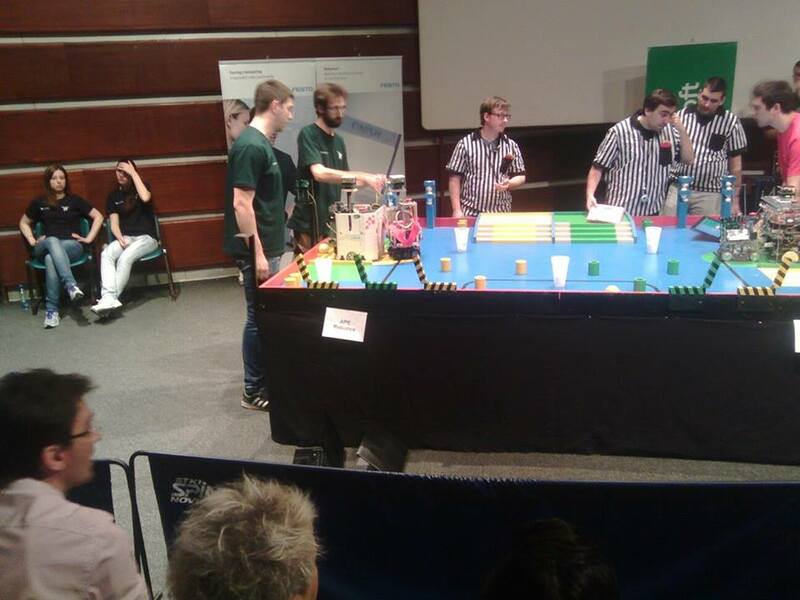 On the image on the right, you can see a robotic arm which will be used for some of the games in the competition. We’re very excited to let you know that Milestone 1 is finally done! In the video bellow you can see our little guy following a square trajectory and returning to its starting pose. This demonstrates complete software and hardware pipeline functionality as well as the precision of odometric system. As we finally have a solid ground we can start building up. In the following period be sure to stop by and check on our status with mechanisms development! Once again, to all of you who support us and dedicate your time and resources a large thank you! This wouldn’t be possible without your help. Just like people, robots have brains too. What differs our brains from theirs is that ours are composed of networks of neurons while robots’ are usually made of networks of transistors. Some robots have BeagleBone Black development platform acting as their brain, and now, thanks to 012LAB, our robots also have it! 012LAB was kind enough to donate us a BeagleBone Black development platform. It’s a board featuring Cortex-A8 microprocessor and can be useful for all sorts of things. We use it as a high-level controller utilizing AI and Game Theory algorithms to instruct other, low-level controllers to turn motors and similar stuff. 012LAB is a team of experts and electronics geeks who strive to popularize this interesting science. They are a part of 011LAB company which designs and develops innovative electronics products and high-tech systems. They’re also a certified SparkFun Electronics distributor so be sure to check them out for some interesting DIY and open-source hardware products!